We offer all of our resources to our new and old clients alike. Please contact us to take a look at your site for assistance in site evaluation, budget numbers and value engineering. We prefer to be in on the front end of every project where our prior experiences can benefit you the most. Wellons Construction can provide you with all of your erosion control, site grading, structural excavation, water, sewer, storm sewer, demolition, trucking, curb and gutter, flat work and asphalt needs. Clearing is the first step in the development process, and quite often sets the tone of the project. 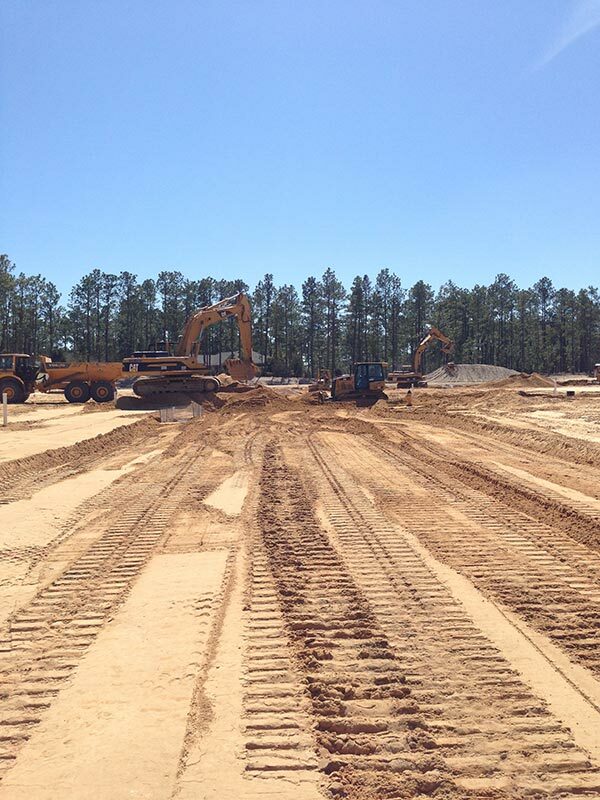 WellonsConstruction will help evaluate each site and determine the most cost-effective and environmentally responsible method of preparing it for site work construction. Whether it’s on-site burning or grinding the site clearing, Wellons Construction gives each and every client a clean and well kept project. Wellons Construction provides the Installation and maintenance of each projects erosion control measures. We complete every erosion control and storm water management project to the satisfactory of NCDENRand other controlling agencies to assure a smooth slowing project from beginning to end. Utilizing the latest in GPS technology Wellons Construction can provide you with all your grading needs. 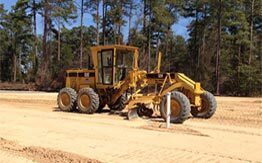 From large building pads to small single family lots, we have all your grading needs covered. Regardless of project size or demand, residential or commercial, Wellons Construction has the experience to quickly and effectively complete your water drainage, sewer, or erosion control and roof drain systems. We have some of the finest utility crews in the state who will no doubt help speed up your project with the planning, organization, speed and our “do it one time” mentality. All your concrete and asphalt needs with one call. Let Wellons Construction build your perfect street or parking lot. Our team of subcontractors mixed with our intense scheduling will give you the best product on time. Utilizing the latest in GPS technology Wellons Construction can handle large building pads to small lots.